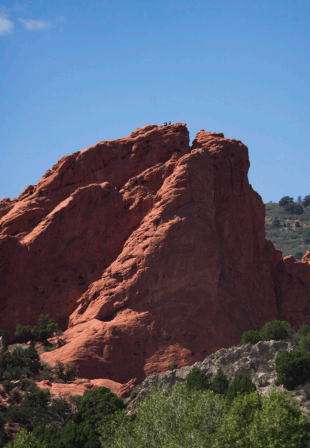 Garden of the Gods is viewed as a highlight of Colorado Springs, with 300 million years of geological history. Students can easily visit Garden of the Gods whenever since it’s free and only 15 minutes away from campus. If it’s a clear day, you can see the park from the UCCS campus. Garden of the Gods has been designated as a National Natural Landmark. There are an estimated 2 million visitors per year from all over the United States and more than 60 countries. “I bring several of my classes out to the GOG where we explore the park to find clues to help decipher the hidden story the rocks tell. It doesn’t really matter how many times you have visited the park, there is always something new there to explore and investigate,” Billmeyer said in an email. There are 1,364 acres in the park, 19 total rock formations and 12 main hiking trails. These numbers make Garden of the Gods a popular destination in Colorado Springs. At Garden of the Gods, there is a variety of activities to do, one of which is hiking. There are 15 miles of trails within the park. It’s also possible to take a hiking tour with the Garden of the Gods Walkabout. Another aspect that you could enjoy is biking the trails at the park. There are guided electric bike tours run by Amp’d Adventures, for example. Mountain biking is permitted on certain trails. 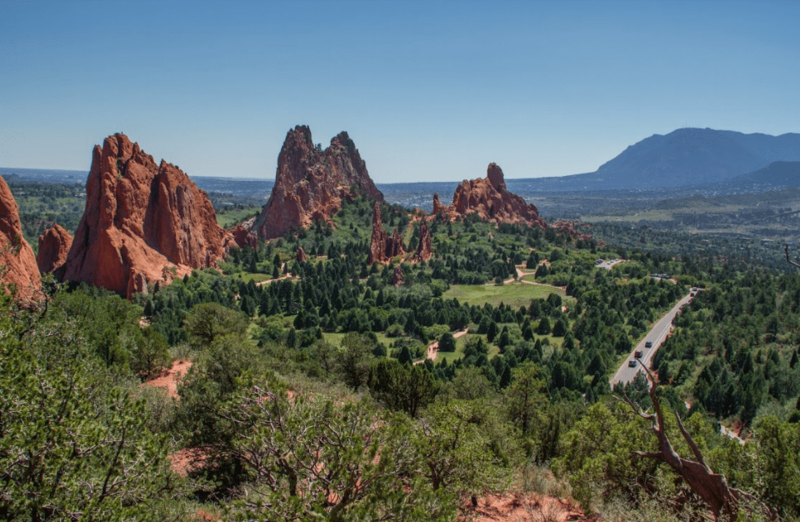 If you enjoy biking to get around, biking to see Garden of the Gods is a popular activity. Some other unique ways to visit the park include horseback riding, on segway, in a jeep or rock climbing. You can find more information about these special features on the Garden of the Gods website. “The rocks within the park tell a dramatic story of ancient mountains rising and eroding away, the development of Sahara-type dune fields and the encroachment of a vast interior seaway that covered our area for tens of millions of years,” Billmeyer said in an email. If you’re planning to visit Garden of the Gods anytime soon, you can get more information from the visitor center. From May 1 to October 31, the park is open from 5 a.m. to 11 p.m. Then from November 1 to April 30, the park is open from 5 a.m. to 9 p.m. It is closed on Thanksgiving, Christmas and New Year’s Day. “The City of Colorado Springs along with volunteer groups like the Friends of Garden of the Gods and the Rocky Mountain Field Institute have done a great job over the years working to protect the park from being loved to death,” said Billmeyer in an email. UCCS is well-known specifically for this natural beauty, and students have a convenient opportunity to visit this location free of charge, anytime they would like.